New ST EDU-S board and ST-Bot-S kits have arrived! As our ST Educational Board gained popularity, we received feedback from many schools that did not want to deal with Li-Ion rechargeable batteries. This “feature” became an issue or an unnecessary cost for most schools that wanted to use standard AA batteries. Li-Ion batteries are hard to find and very, very hard to transport. Most shipping companies changed rules effective on January 1, 2017, making it tougher to have robots based on Li-Ion batteries to move around. Some schools attending robotics competitions get their robots over the mail and they fly to the competition with their robots. Li_Ion batteries were a problem in most cases. We received the feedback and decided to generate a simplified version of our ST EDU board, stripping out all the rechargeable battery related circuits and battery holder. 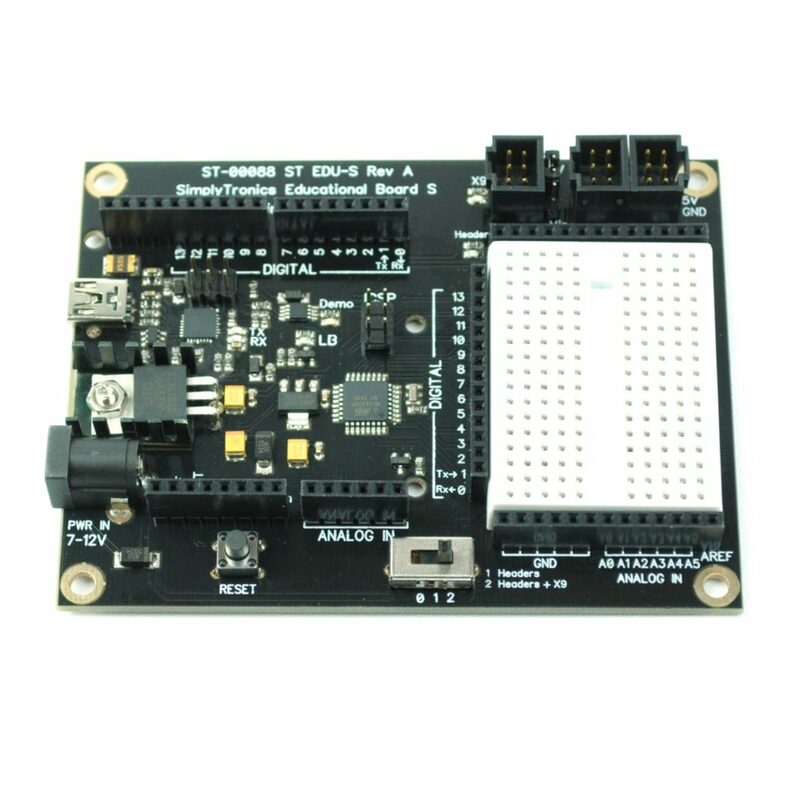 The new ST EDU-S board (ST-00088) has the same capabilities that the original ST EDU with the only difference that it cannot recharge Li-Ion batteries. 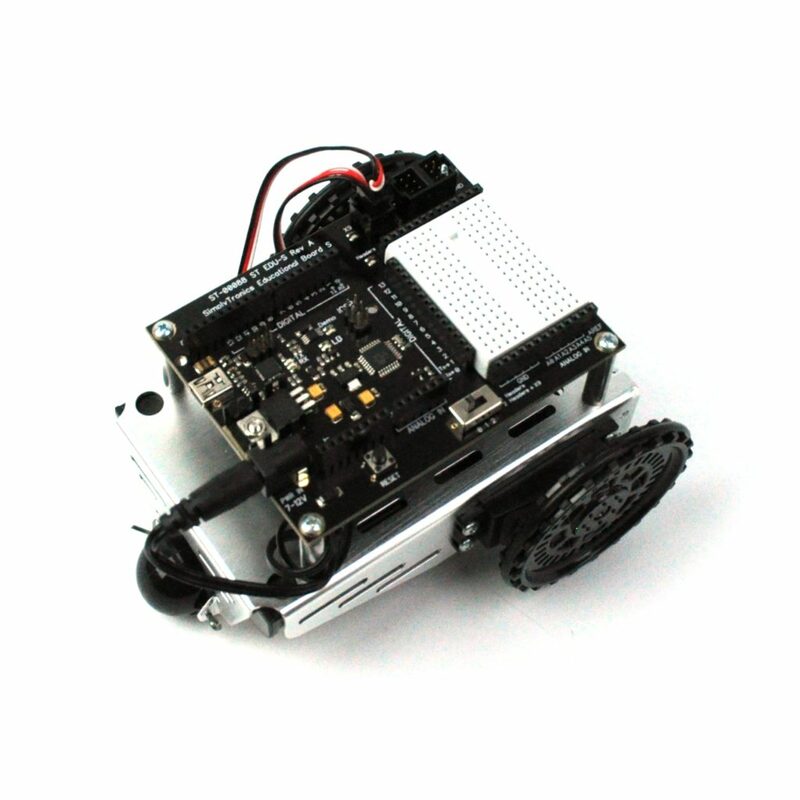 Any educational material that you used with or developed for the ST EDU board will work just fine with the ST EDU-S.
We also put together the ST-Bot-S Full Kit which is just the same than the original ST-Bot, but you will need to use 5 AA batteries instead of the Li-Ion batteries. Both, the ST EDU-S and the robotics kit, are now available in our online store with an introductory price (for a limited time). 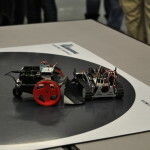 We also have the usual quantity discounts that benefit schools and robotics clubs.